A personal injury can leave you in pain, in debt, and even in fear. Our Syracuse, New York, attorneys at The Stanley Law Offices, L.L.P., understand that this may be a time of uncertainty for you. Our mission is to help you gain clarity regarding your legal options, so we can start the recovery process. You can expect to get honest answers from a compassionate team of attorneys that prioritizes your needs through every step of the case. We represent people throughout New York, including those in Rochester, Binghamton, Watertown, Syracuse and Central New York, as well as people in Montrose and Northeast Pennsylvania. When you work with us, you start with a free initial consultation, during which we can go over your situation and determine what the best options are for obtaining compensation to meet your short- and long-term goals. The staff at our law offices can then collaborate with you on a plan that comprehensively addresses every aspect of your case. Our skilled trial attorneys have 90 years of combined experience working with people like you who have suffered an injury due to a car, motorcycle or truck accident; medical malpractice; nursing home abuse or neglect; or some other negligent action. 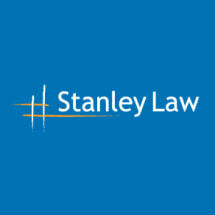 The Stanley Law Offices, L.L.P., team also has successfully helped clients with issues involving workers’ compensation and Social Security Disability. No matter the details of your case, you can turn to us for aggressive, client-centered representation.